The Turkish Supreme Election Council (YSK) announced that six candidates were officially running for the president. The list of participants include incumbent President Recep Tayyip Erdogan from Turkey's ruling Justice and Development Party (AK) Party, Muharrem Ince from the Republican People's Party (CHP), which is currently the main opposition party, Selahattin Demirtas from the pro-Kurdish Peoples' Democratic Party's (HDP), Meral Aksener from the Iyi (Good) Party, Temel Karamollaoglu from the Felicity Party and Dogu Perincek from the Patriotic Party. Parties taking part in the parliamentary elections include the ruling Justice and Development (AK) Party, the Republican People's Party (CHP), the Peoples' Democratic Party (HDP), the Good (IYI) Party, the Nationalist Movement Party (MHP), the Saadet (Felicity) Party, Democrat Party, the Patriotic (Vatan) Party and the Free Cause (Huda-Par) Party. For the first time ever political parties will go to elections by forming alliances. Turkey’s ruling AK Party and the MHP have formed the People’s Alliance while opposition including the CHP, the IYI Party, Saadet Party and Democrat Party have formed the Nation Alliance. 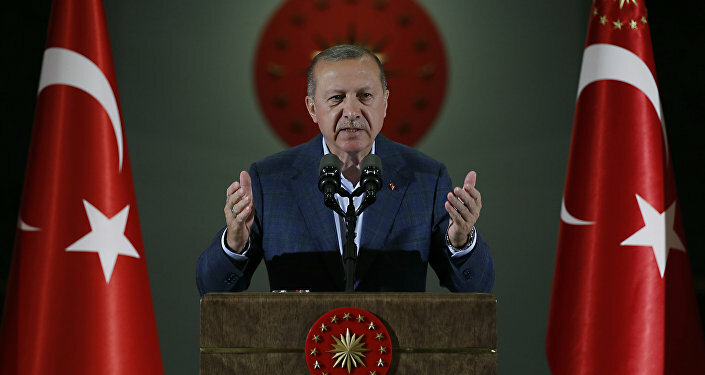 Erdogan announced snap presidential and parliamentary elections on April 18, explaining this by the necessity to ensure a rapid transition to a presidential republic and enforce the constitutional amendments that were adopted after a constitutional referendum in April 2017. The constitutional amendments are set to enter into force following both elections. The polls suggest that Erdogan will win the upcoming presidential elections, but if the incumbent president does not get more than 50 percent of the vote, there will be a second round where he will face CHP's Ince who is in second place now. 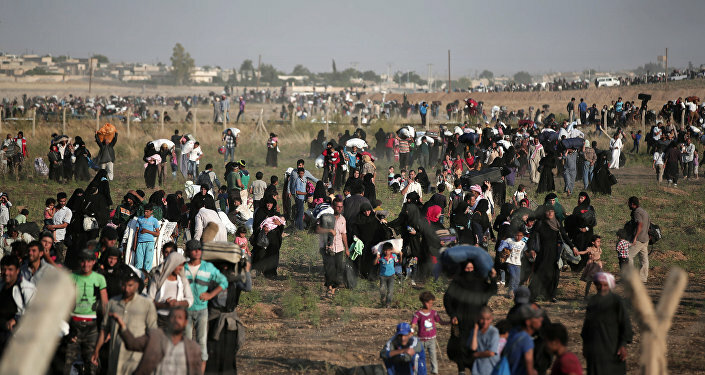 Can Syrian Refugees Influence the Outcome of Elections in Turkey? In his election manifesto Erdogan promised to tackle inflation and currency devaluation, as well as to attract foreign investments. The Turkish president also reiterated the country's EU aspirations and said that Turkey will continue its military operations near its borders against terrorist groups until the latter's full defeat. Special emphasis was put by Erdogan on the economy by announcing the creation of five new mega industrial zones to provide new job opportunities and to attract investments, and Canal Istanbul, which will connect the Black Sea to the Sea of Marmara. The presidential nominee of Turkey's main opposition (CHP) party, Muharrem Ince, also stated in his election manifesto that Turkey’s fight against terrorism would continue and expressed commitment to keeping neighboring Syria’s sovereignty and territorial integrity. Regarding relations with the European Union, Ince promised their normalization taking based on Turkey’s national interests. In the economic sphere his pledges, the same as Erdogan’s, were focused on the creation of new jobs along with ensuring each family a salary and a house. Former Interior Minister Meral Aksener also considers the fight against terror as the main goal along with solving the Syrian migrants issue, saying that a strong Iraq and Syria would benefit Turkey. The economic platform was built on three key pillars: macroeconomic stability, economic geography and accelerator sectors. It was pledged to decline unemployment rate to 5.6 percent and increase female employment up to 50 percent. The same stance on the fight against terrorism was expressed by the Patriotic Party’s candidate, Dogu Perincek, who also spoke of the necessity of good relations with the Syrian government. On the EU relations, Perincek took an opposite stance to other candidates, saying that he did not want to see Turkey as a part of the European Union. Perincek strongly advocated a planned and mixed economy and the development of economic relations with China to make Turkey a production base. Among major economic pledges was to stop the privatization process of state business enterprises and the nationalization of already privatized state enterprises. HDP candidate Selahattin Demirtas in his election manifesto expressed commitment to end the war in Syria by means of a democratic solution based on the equality of the Syrian people. Demirtas is now in jail for alleged links with the PKK, which considered a terror group in Turkey. In the economy, Demirtas called deepening poverty and inequality as the main problem undermining perspectives of the young generation. Among pledges for the elder generation he listed 50-percent discounts both for local and international flights and free museums. The presidential candidate of the Saadet party has put the economic focus on the reduction of the tax rate and the creation of a fair tax system. The Palestine-Israel crisis was the issue on the international agenda on which all the candidates agreed and expressed full support support for Palestine. As the economy became the main issue of all election campaigns, both presidential and parliamentary, the ruling AK party which now has a majority in the parliament, promised to decrease the country’s dependence on imports and to increase exports. The key pledges were to decline the inflation rate and bring the inflation rate down to a single-digit level and solve the current account deficit. 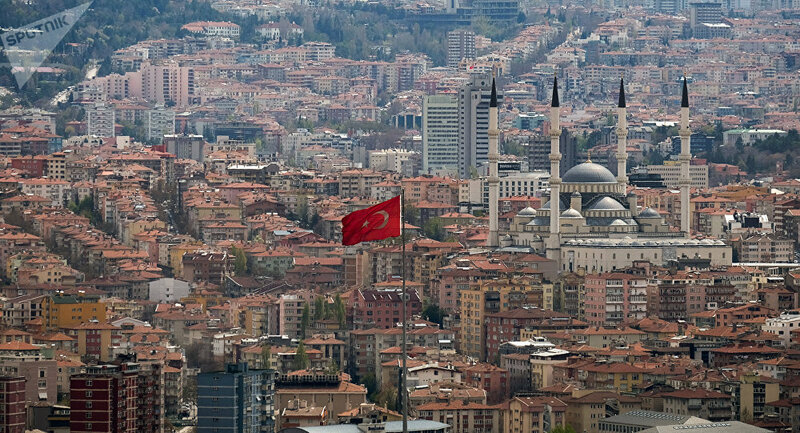 The party vowed Turkey to become one of the top 10 economies of the world by 2023. The CHP promised to create five development zones in separate parts of the country and to lift income taxes on the minimum wage while increasing the latter. The party also pledged to stop privatization of public enterprises and to increase spending on research and development to 3 percent. The HDP party's economic platform is based on three main pillars, including fair distribution, social rights and living debt-free. The MHP has promised a "Productive Economic Program," which is aimed to ensure permanent stability in the economy. Other pledges include fair distribution of income, agricultural reforms and reforms in the work force. The IYI Party has promised to measure the Central Bank's performance in fighting inflation and to establish an accountability mechanism. The Saadet Party promised an annual 7-10 percent raise in the minimum wage and the exemption of people with minimum wage from taxes. The reduction of taxes on fuel was also indicated in party's program. Under the constitutional reform passed on the national referendum on April 16, the number of seats in the parliament is to increase from 550 to 600 and the minimum age limit for parliamentarians is to be reduced from 25 to 18. Instead of every four years, legislative elections will be held once every five years and on the same day as the presidential election. The president is limited to two terms in office but under amended legislation. If the parliament by three fifths votes for re-election, the incumbent president can seek a third term. The president is now allowed to remain the head of the political party he represents, which was not allowed by the current legislation. The Constitutional amendments grant the president the ability to appoint and to remove vice presidents and ministers as well as a number of top judges. The president is given the right to declare a state of emergency.